In a previous audio blog, we explained the importance of a detailed hearing assessment including speech in noise testing which forms the basis of a correct hearing aid recommendation. Once the hearing aid has been selected, the next step to improve your hearing clarity is the hearing aid fitting appointment, where a face to face consultation is imperative. The hearing aid fitting appointment is made up of a number of elements that are all essential to obtaining the best outcomes. It is a common misconception that all that is required for a hearing aid fitting is to simply program the hearing aids to the person’s hearing loss, however this is only part of the process. Each manufacturer provides a specific algorithm (amplification profile) based on the person’s hearing loss. However, this algorithm is based on a number of assumptions. Therefore, although two patients may have the same amount of hearing loss, it is likely that they will have different preferences when it comes to the sound produced by the hearing aids. This is where the expertise of the audiologist will be important in knowing how to adjust the hearing aids to an individual’s preferences, rather than simply relying on a computer generated algorithm. The next important step in the hearing aid fitting process, is to actually measure the amount of sound being produced by the hearing aids, in the patient’s ears. This step takes into account the physical characteristics of the patient’s ear and how much sound leakage there is from the ear canal. This testing involves a Focus Hearing audiologist using specialised equipment to measure the precise amount of sound that is reaching your ear canal, and consequently how valuable your hearing aid is going to be to you. If this test reveals that your hearing aid is not sitting correctly in your ear canal, we can rectify it immediately to ensure you receive maximum benefit from your new aid. This is a process that can only be done face-to-face with a qualified audiologist. The audiologist must not only have the correct equipment but must also have the expertise to run such specific equipment. While it can seem easy to order hearing aids online, it is not something anyone should do without consulting their audiologist. 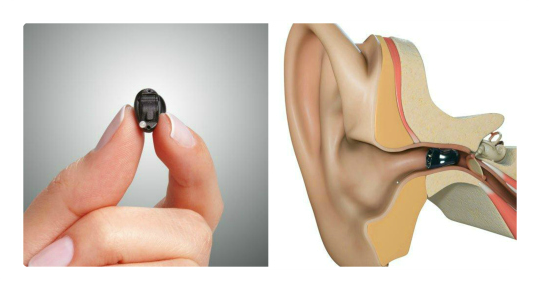 After all, a hearing aid deals with one of the most sensitive and easily damaged parts of the body: your ears. This safe and professional level of service and customisation is something that can only be achieved in person. By meeting with a Focus Hearing audiologist and mapping the physical characteristics of your ear you are ensuring that you will get the best outcome the first time. Our highly trained team perform this process on each and every hearing aid because we are dedicated to best practice services for all of our patients. If one of our tests show that a change needs to be made to ensure you are receiving maximum benefit, we will do this at no extra charge to you. Additionally, all of our hearing aids come with a full manufacturers warranty of 3 years to give you extra piece of mind. If you would like an independent hearing aid evaluation or an independent hearing aid recommendations, visit www.FocusHearing.com.au or visit one of our convenient locations in Crows Nest, Erina, or Monavale. Our friendly staff are also available to answer any of your question on 02 8402 1202.